1055.00 sqft. 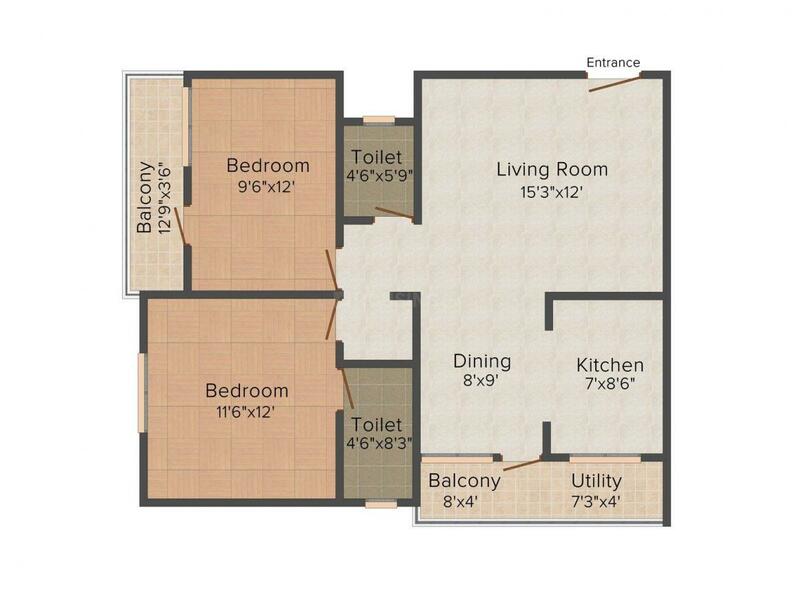 - 1115.00 sqft. 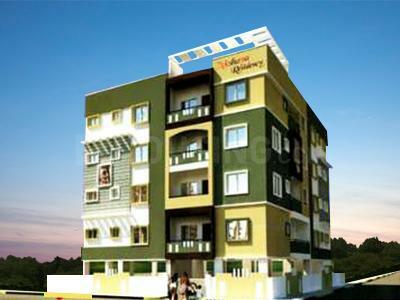 Akshaya is an abode which offers its occupants with a premium living experience. All the necessities required by the members of a family for a comfortable life is available here. The fixtures and fittings used are of standard quality. The edifice combines modern and traditional living with its aesthetic architecture carved by expert professionals. The habitants have access to world-class features for an optimal living experience. 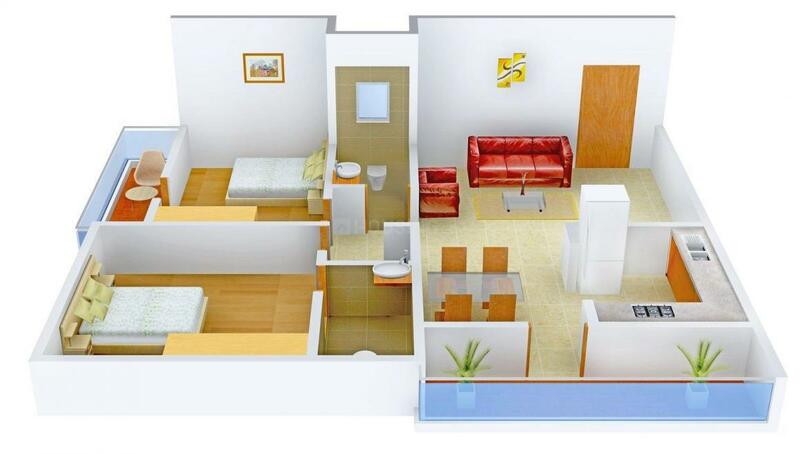 The large, airy and spacious rooms provide for a convenient living. Akshaya reflects convenience and comfort for the dwellers and is fairly priced such that people from all walks of life can afford it. Srirampuram is a well developed town located in Bangalore city, a prominent place for business enterprises, educational institutes and various shopping malls. Its proximity to the city’s railway junction and Bengaluru International Airport has attracted many Real Estate developers to come up with various residential and commercial projects here. Malleswaram Railway Station and Mantri Square Sampige Road Metro lie in close vicinity to this region. This area is a treat for the inhabitants due to its strong connectivity with all other parts of the city thereby reducing the transport and communication worries. Inhabitants can enjoy their time at the various recreational spots that are located in the vicinity. 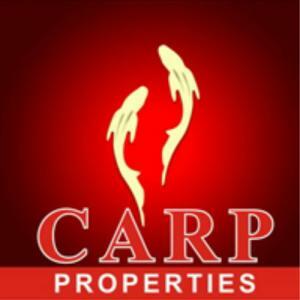 Carp Properties has earned a credible reputation in the Bangalore Real Estate Industry. Their main focus is to build homes in the most happening places of Bangalore along with good quality construction without compromising on all standards. With well-designed spacious homes and world class amenities, they make you the proud owner of your premium home. Carp Properties remains committed to delivering world-class projects empowered by a team of highly committed and skilled resources using state-of-the-art engineering and instrumentation. The team follows customer approach that set a new standard of service, quality and value to delight their customers. Catering to the premium luxury segment, Carp Properties is known for its aesthetics designs, eco friendly architecture, uncompromising business ethics and strong core values that has helped them to become a prominent name in the Bangalore Real Estate Industry.